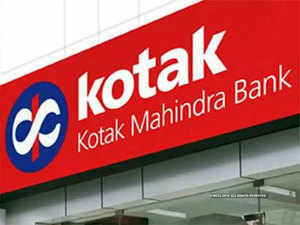 MUMBAI: Kotak Investment Advisors, which manages about $3.5 billion worth of assets, is set to begin deploying the money it has raised in the last one month via two funds that are backed by Abu Dhabi Investment Authority(ADIA). The advisory arm of Kotak group has mopped up over $1 billion through the two funds as the company looks to invest in assets, which appear to be generating enough cash and where the banks are willing to take a reasonable haircut in debt. In the last one month, it has raised $625 million under Kotak Special Situation Fund, which is aimed at providing bespoke financial solutions and investment opportunity in companies that are negotiating settlements on stressed loans. Earlier this week it launched India Office Assets Fund, raising $400 million. UAE-based sovereign wealth fund Abu Dhabi Investment Authority (ADIA) has committed $500 million and $200 billion in the two funds, respectively. Srini, as he is popularly known, has been managing alternative assets for the last one and a half decades. He favours changes in the country’s Insolvency and Bankruptcy Code, which has triggered a paradigm shift in how bad loans are dealt with. In light of the new amendment under 12A of IBC, if 90% of creditors agree, the company can be taken out of the IBC process. The risk of allowing erstwhile directors to COC proceedings is that the promoters will use the information to exercise 12A. As a consequence, serious bidders will be reluctant to bid aggressively. According to him, IBC caters to evolution of bond market as creditor protection encourages greater investor participation. This will lead to all varieties of investors coming, including into high risk bonds. “You are going to witness the birth of junk bond market in India”, he said. The gradual opening up of the domestic bond market has evoked interest of overseas investors to buy debt of distressed companies, as well as other investors like buyout funds to buy some of these companies. Consequently, Srini sees a change in the ownership patterns for many traditional Indian companies. “Gone is the era of tradition family businesses. Buyout firms will be in large numbers in India taking control of domestic companies,” he said.